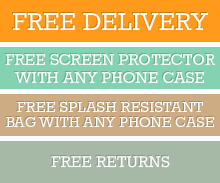 Made from polycarbonate plastic, the shockproof case absorbs impact from falls and bumps. Raised bezels protect your iPhone XS Max camera and screen from scratches. Bumper edges help protect your phone from damage caused by accidental drops. The iPhone XS Max case is made from top-grade plastic and silicone with a smooth and slightly grippy texture. The protective phone cover holds your iPhone XS Max in a tight grip for utmost protection. Fully wrapped buttons keep dirt and dust out but stay responsive. The drop-proof silicone case for iPhone XS Max is made up of 3 parts. The PC back cover protects the rear of your device from scratches. The inner shell absorbs shock from drops and slips. A crack-resistant bumper frame holds everything together. Click the button below to add the iPhone XS Max Case Light Purple Drop-proof Silicone Protection Cover, Anti Slip Grip, And Shockproof Material to your wish list.